Today’s free design resource Ghost Ship Mobile UI Kit is designed by Hoarrd and released as a freebie by Pixelbuddha.net. 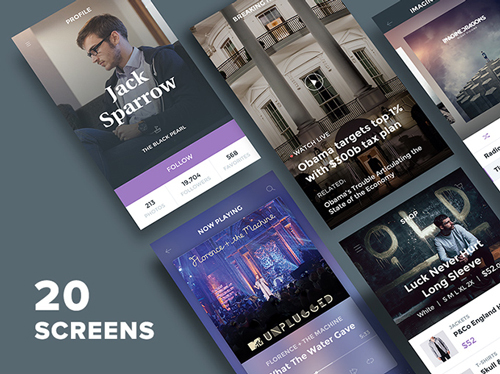 Ghost Ship UI Kit Free comes with 20 screens across 7 categories made in Photoshop PSD format. It’s also vector based so you can easily play with without losing any quality.